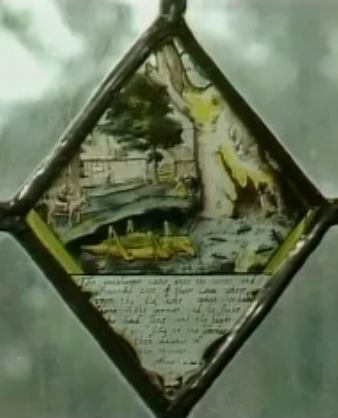 The BBC still has an interesting video taken in 1985 all about the Forest of Dean. It starts with Newnham and there are some quite noticeable changes. The part about glass blocks is now known to be incorrect. 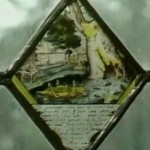 There is excellent footage of the ‘missing’ glass, depicting the ants and the grass hopper, which was stolen from the Victoria Hotel many years ago. To find out more about the Ant & Grasshopper story try Wickipedia. One wonders where it is now, and if the person responsible saw this programme and if it was stolen because they saw it on tv. British Pathé News have some black & white film of the hydro plane racing which used to take place at Bullo. A very interesting web site to browse with thousands of short films to watch, The site has a very good search facility – try looking for Severn Hydroplanes, eels or surfing the Severn Bore (you’ll see the riverside car park as it was in 1967 – as muddy as ever!). There is even one of flooding in Broadoak and the Severn Bore filmed in 1949 some of it from the churchyard.